Lichtensteins took Heath's Comic Art and made a fortune. So Heath told his story in comic art. Roy Lichtenstein has been celebrated by art critics world wide and a somewhat permanent fixture in modern art. See he pretty much is renowned for copying existing pulpy comic art panels with a ever so slight twist to add some new context. However no one has held a prize or recognition to the victims of Lichtenstein’s cut and paste artwork. 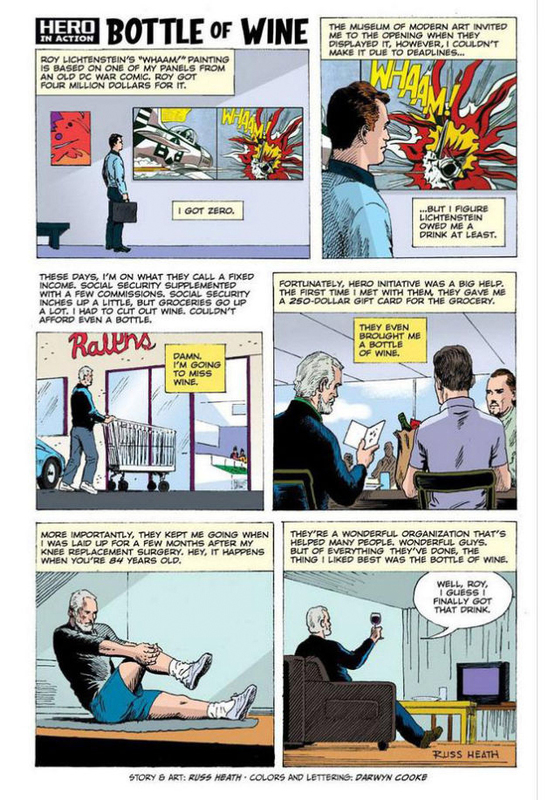 One particular victim of Lichtenstein’s fame was Russ Heath, who created the artwork in a panel for DC Comics’ All-American Men of War #89. A panel which Lichtenstein based his famous WHAAM! painting on back in 1963. Russ, pretty much was paid zilch for a painting that copied his artwork, while Roy walked away with millions when WHAAM! got sold.